Dan O’Brien is the author of Dan O’Brien: Plays One (Oberon Books, 2017). 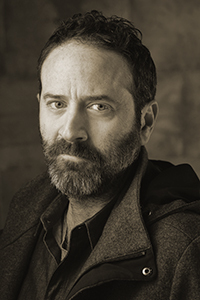 O’Brien is the author of the poetry collections War Reporter (Hanging Loose Press, 2013), Scarsdale (Measure Press, 2015), and New Life (Hanging Loose Press, 2016). His awards include a John Simon Guggenheim Fellowship in Drama & Performance Art; the Horton Foote Prize for Outstanding New American Play; the 2013 inaugural Edward M. Kennedy Prize for Drama Inspired by American History; the PEN Center USA Award for Drama; and, for poetry, the 2013 Fenton Aldeburgh First Collection Prize.